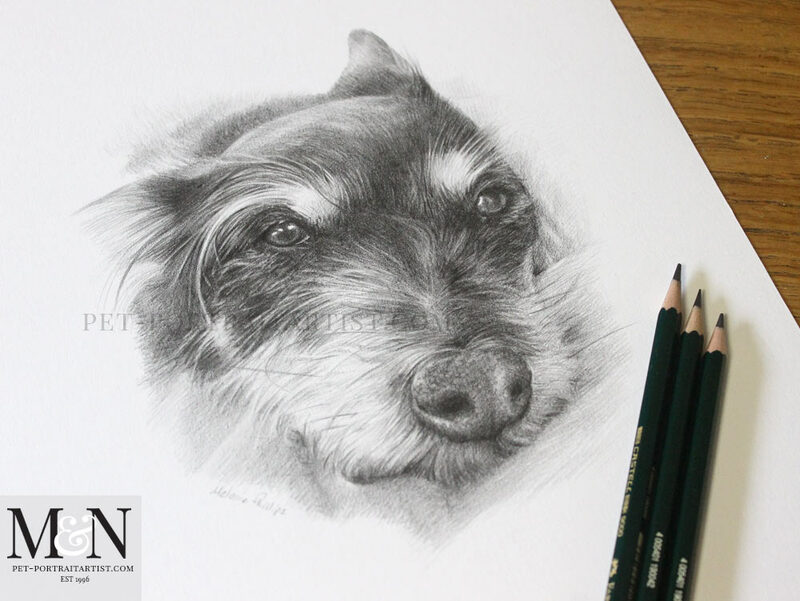 Welcome to my most recent pencil drawing pet portrait of a gorgeous dog called Biscuit. The portrait is a 12 x 10 drawing which was the perfect size and shape for her. The portrait was commissioned by a very well known TV and Film actor here in the UK. The drawing of Biscuit is going to be a given as a gift. I thoroughly enjoyed drawing Biscuit and really hope the recipient is thrilled with the results. Scroll down to see more photos of the portrait and some of the packaging too! Here are a few photos of Biscuit’s portrait on my plan chest along with my pencils to help show scale. The photos I feel always tend to show my pencil drawings much more naturally. I think, in addition, you can get a real feel for the graphite pencil texture in them. 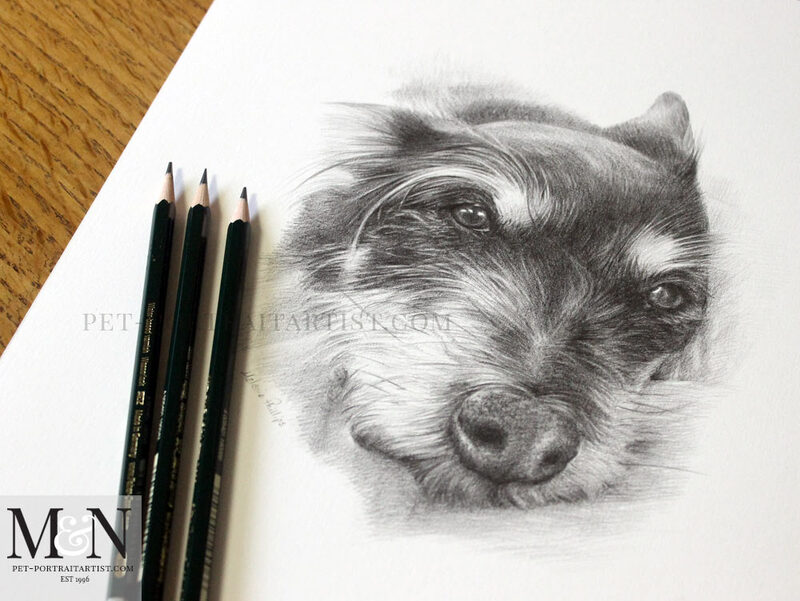 The paper is a warm white colour which works beautifully with the graphite. I hope you enjoy viewing them. I have been experimenting with how we present our pencil portraits recently and this is a quick snap of my most recent design of packing. Biscuit’s portrait is first wrapped as I usually do, in cellophane. 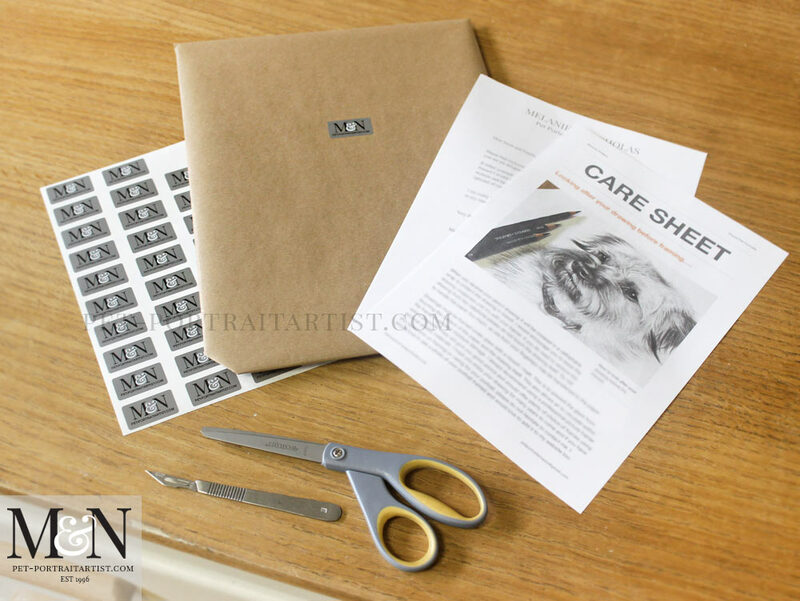 The drawing is then wrapped in brown paper with one of our fabulous stickers on the front. 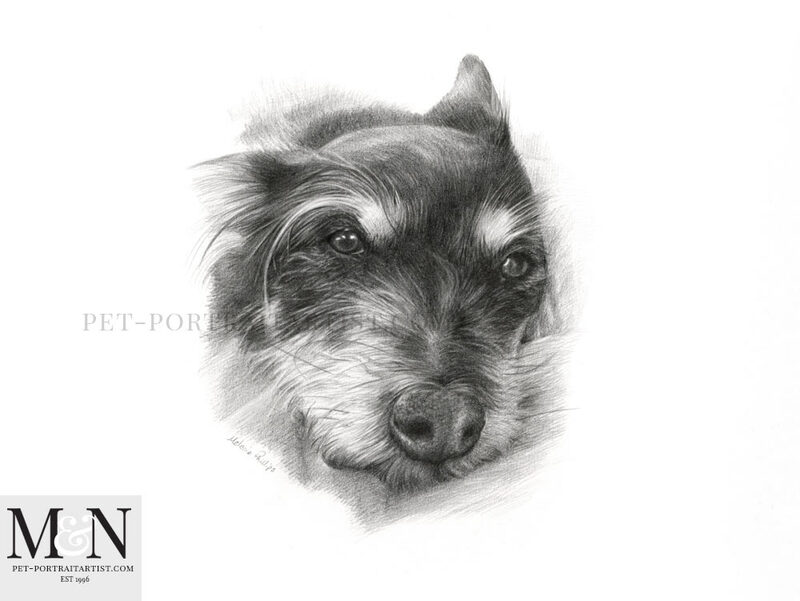 I always accompany my pencil portraits with a Care Sheet and personal letter which you can see in the photo too.